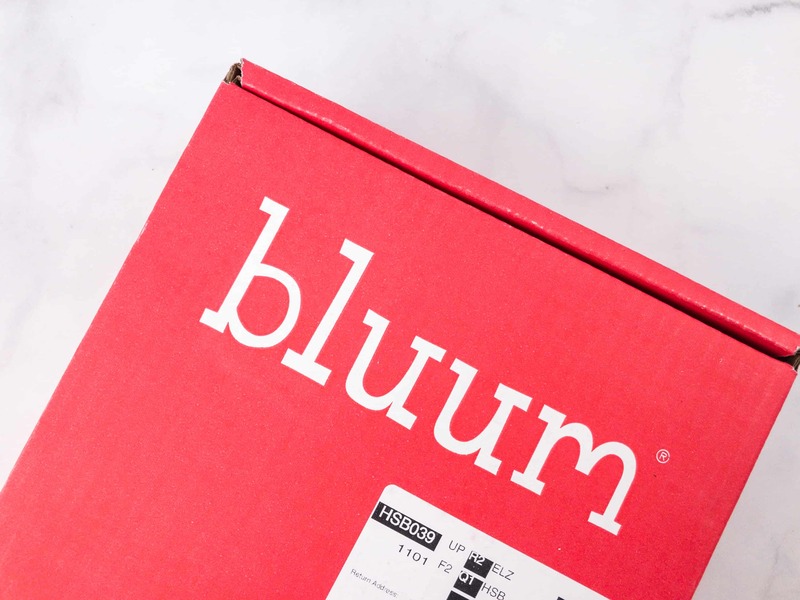 There’s no information card with Bluum, but the items come in original packaging and are often self-explanatory. 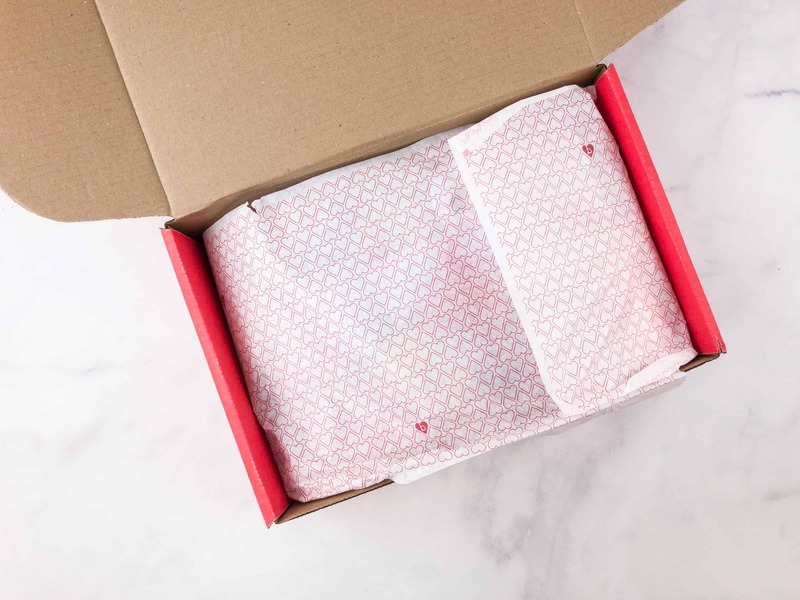 You’ll get the information about the items sent to your inbox. 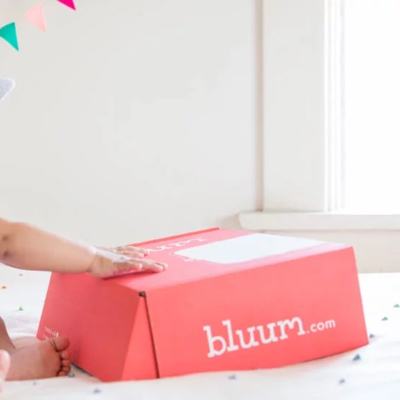 Everything in our April 2018 box! 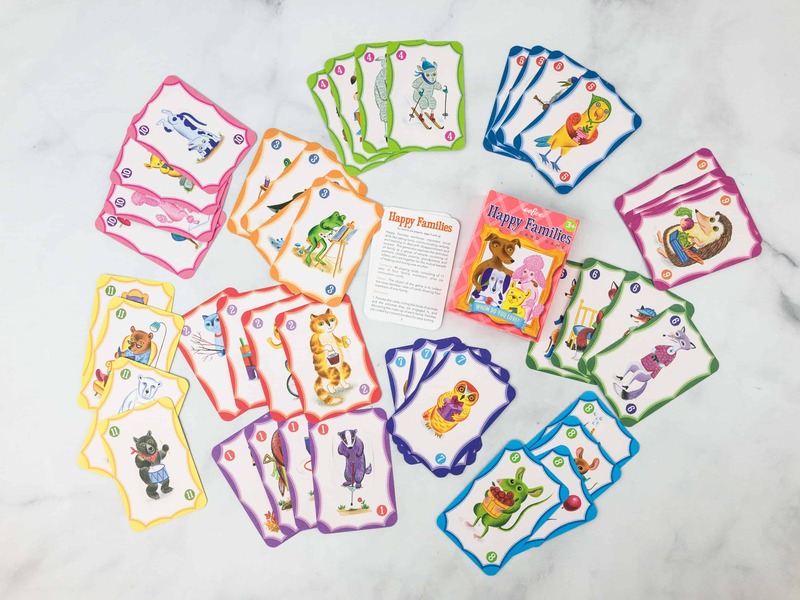 Eefoo Happy Families Card Game ($9.95) Suitable for kids ages 3 and above, this card game is similar to Go Fish and it is all about families. 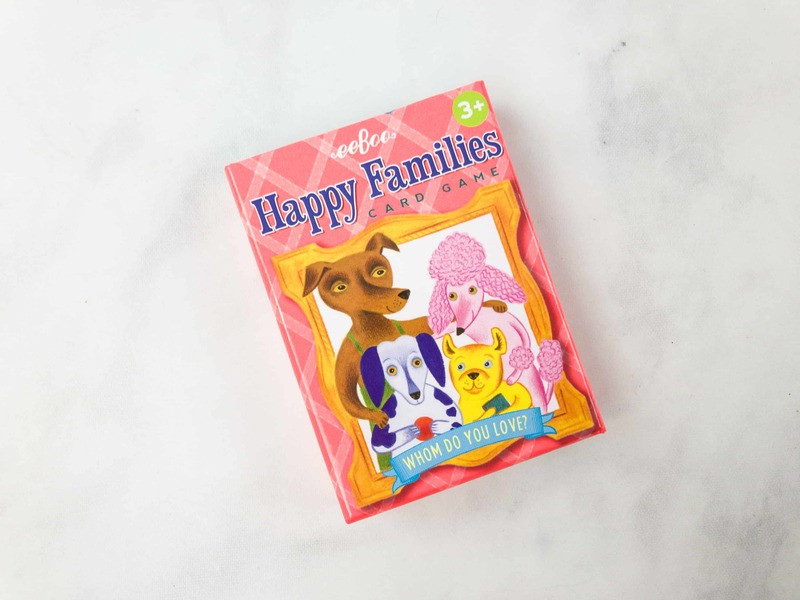 It can be played with the whole family too, and provides an opportunity for parents or guardians to talk about what makes a happy family and why there are families that are different from theirs. There are 48 colorful cards in the box, each measuring 3.25 x 4.5 inches. 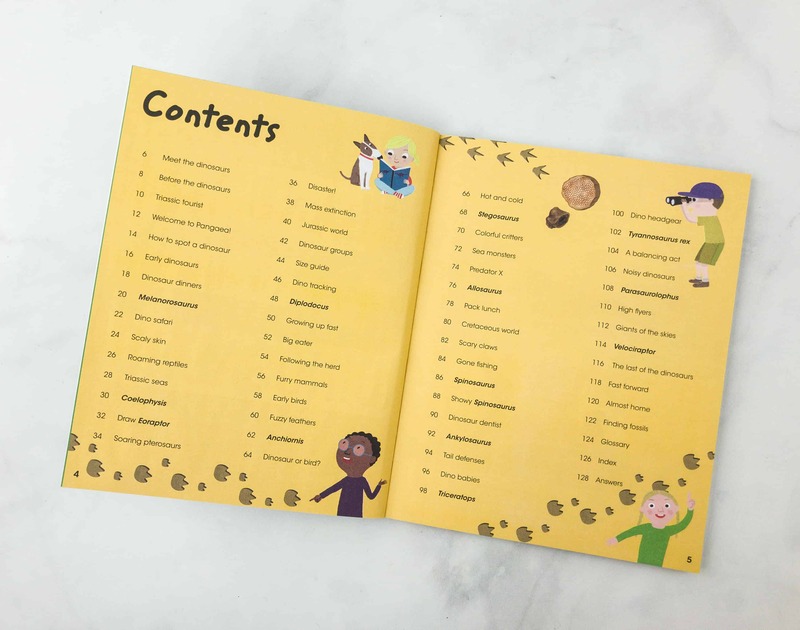 It also features various animals, including bears, birds, foxes, and more. There’s an included instruction sheet as well. 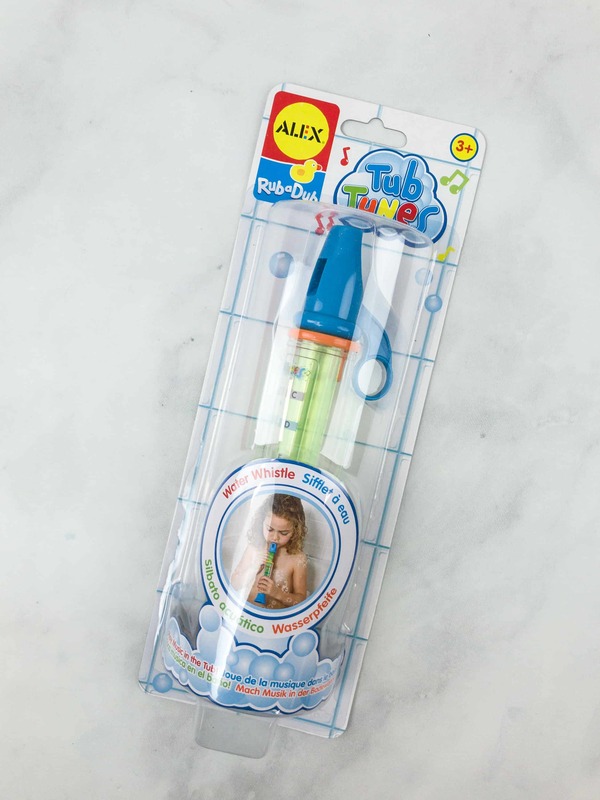 Alex Rub A Dub Tub Tunes Water Whistle ($8) We love a good bath time toy, and this water whistle is definitely one of them. 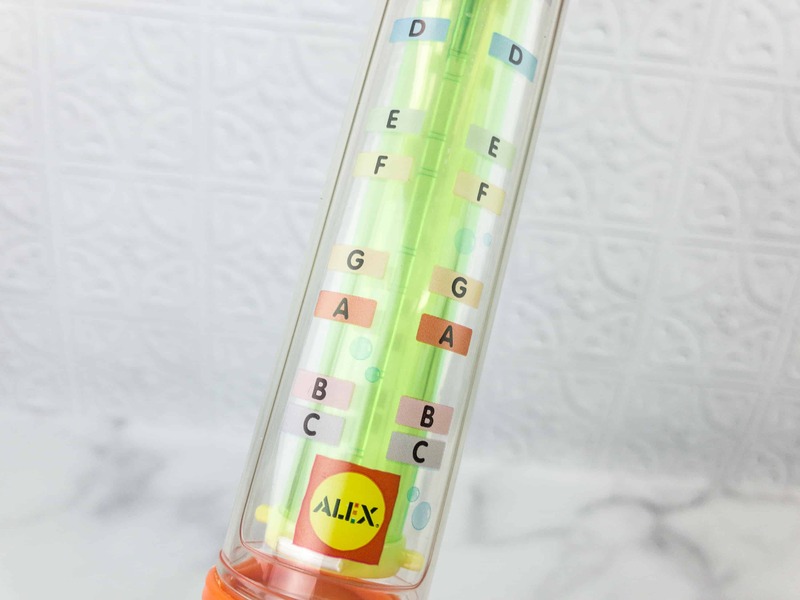 It allows kids to play music in the tub, and they can even tune it with water to make different sounds. It’s made from plastic with a transparent center. Musical notes are also indicated on the body of the flute. 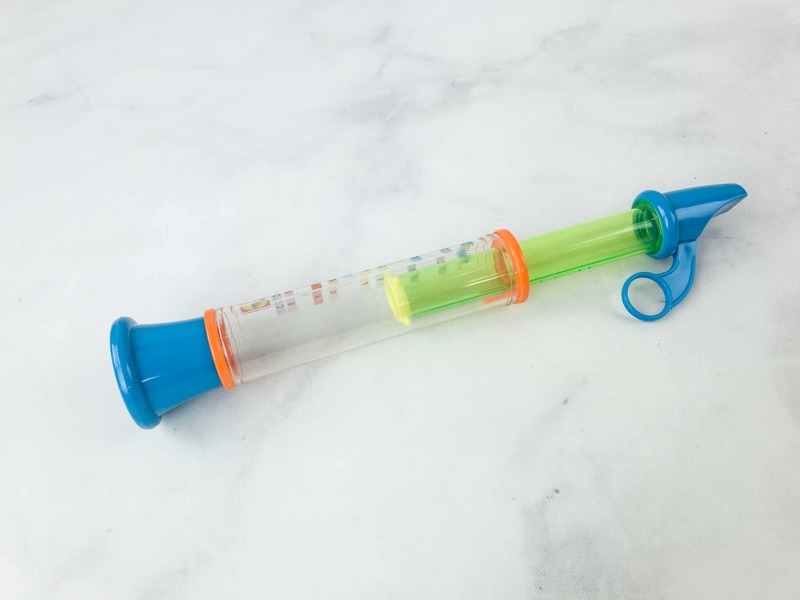 It works as a slide whistle too! 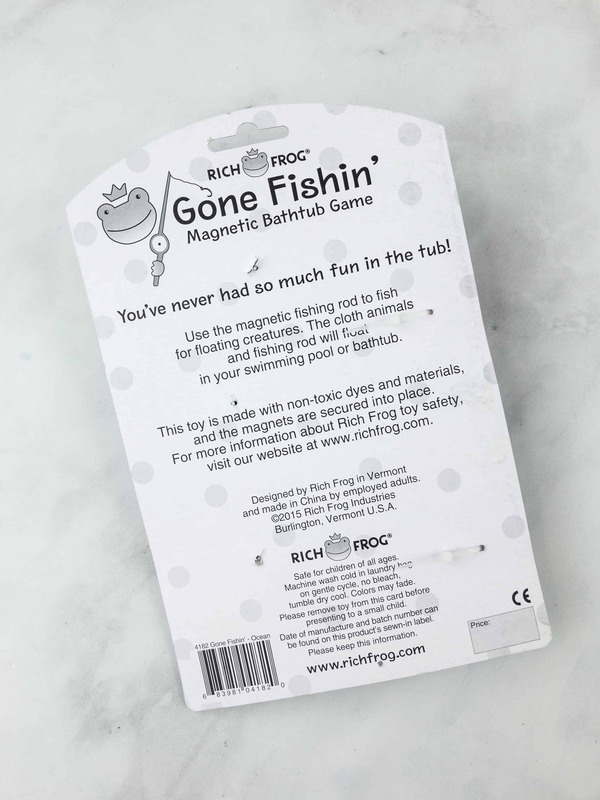 Rich Frog Gone Fishin’ Magnetic Bathtub Game ($13.49) Speaking of turning bath time into fun time, we received another bathtub-friendly toy. 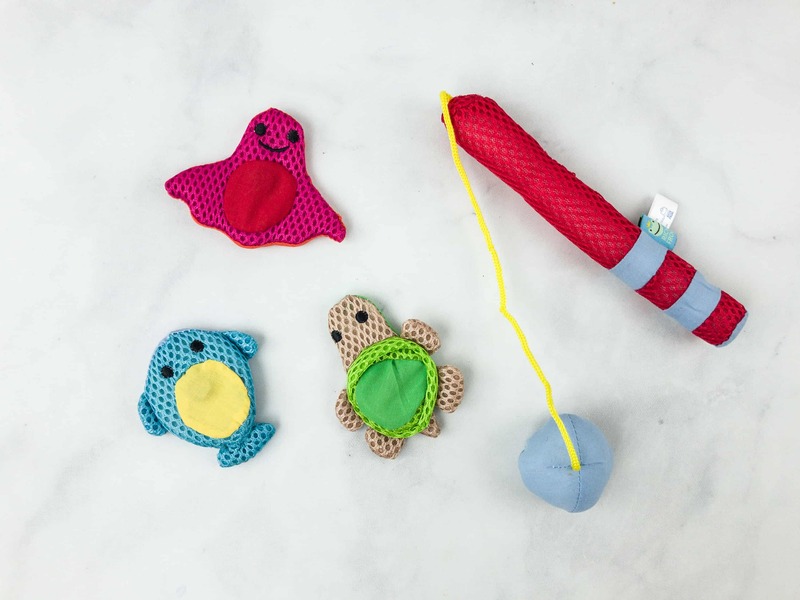 It’s composed of a fishing rod and some cute sea creatures that can float in the water. 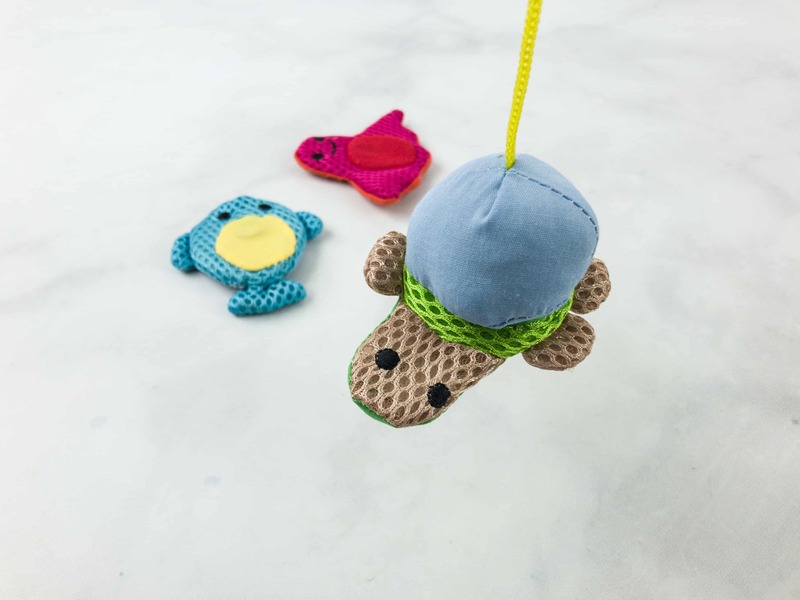 According to the packaging, this toy is made with non-toxic dyes and materials, and the magnets are secured into place. 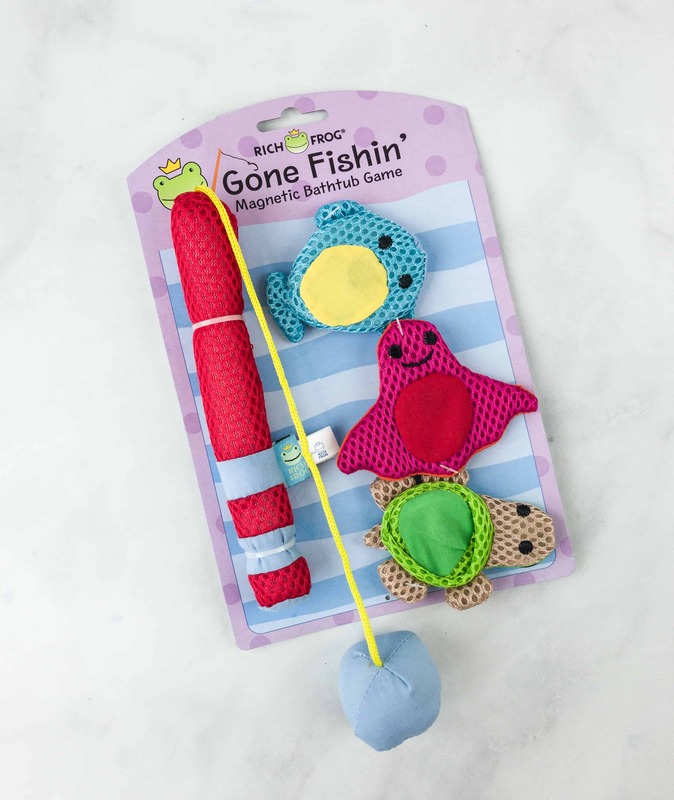 All you have to do is let the creatures float in the tub, give your kid the fishing rod, and let them have fun catching everything. Everything’s made with soft mesh material. 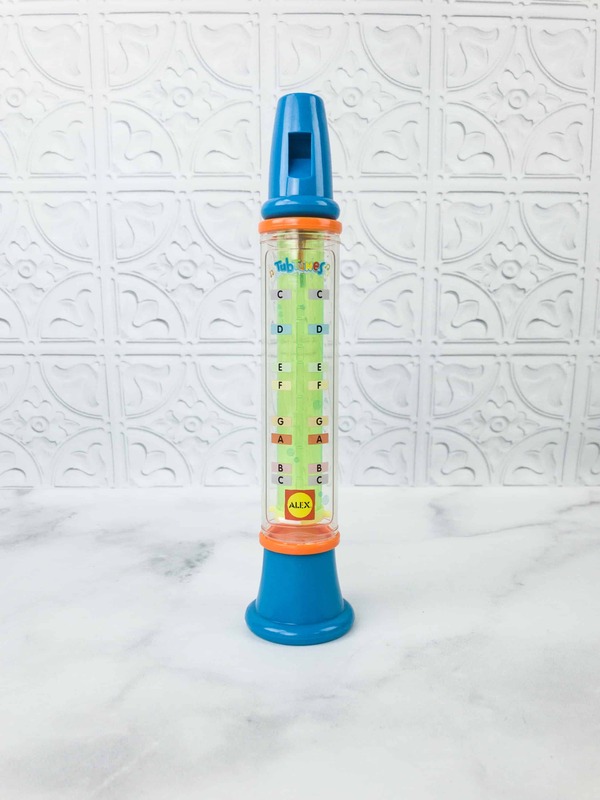 There’s also a magnet on the end of the rod and on each toy, so it really works. 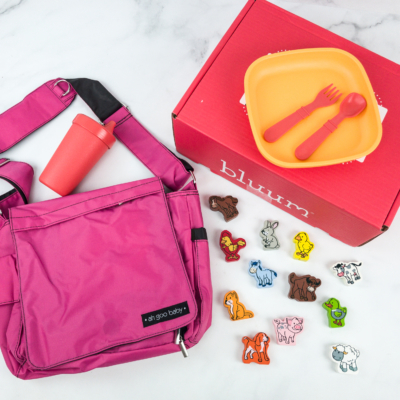 This activity helps improve kids’ hand-eye coordination and is super fun! 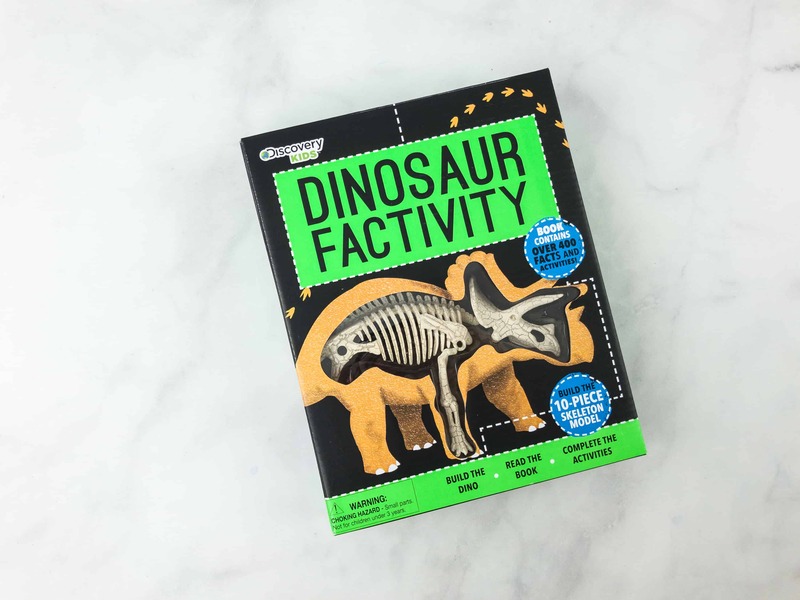 Discovery Kids Dinosaur Factivity ($12.74) Learning about dinosaurs is made fun and exciting with this kit. 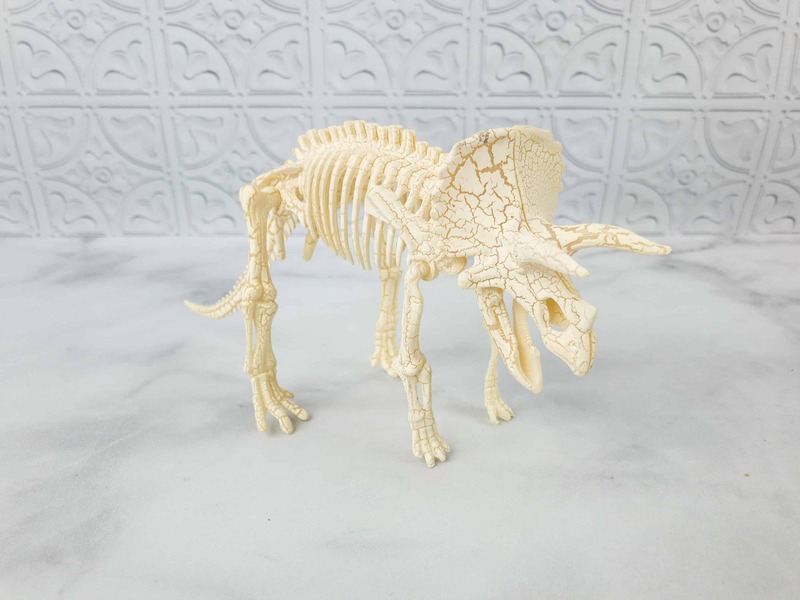 The book contains fun facts and on-page activities, and there’s also a 10-piece Triceratops skeleton model you can build and play with. 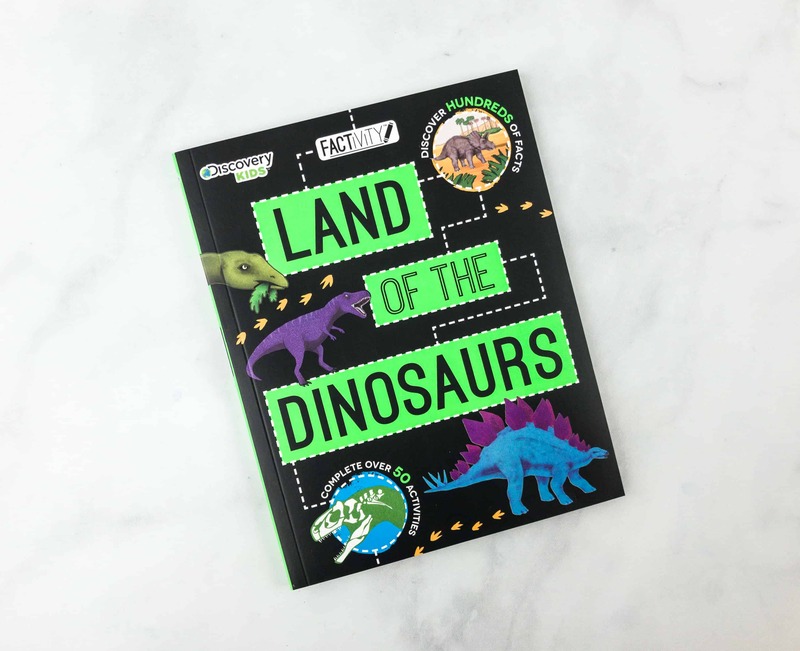 Explore the prehistoric realm of the Dinosaurs! Learn the facts and complete activities, puzzles, mazes, and more along this exciting journey back in time. 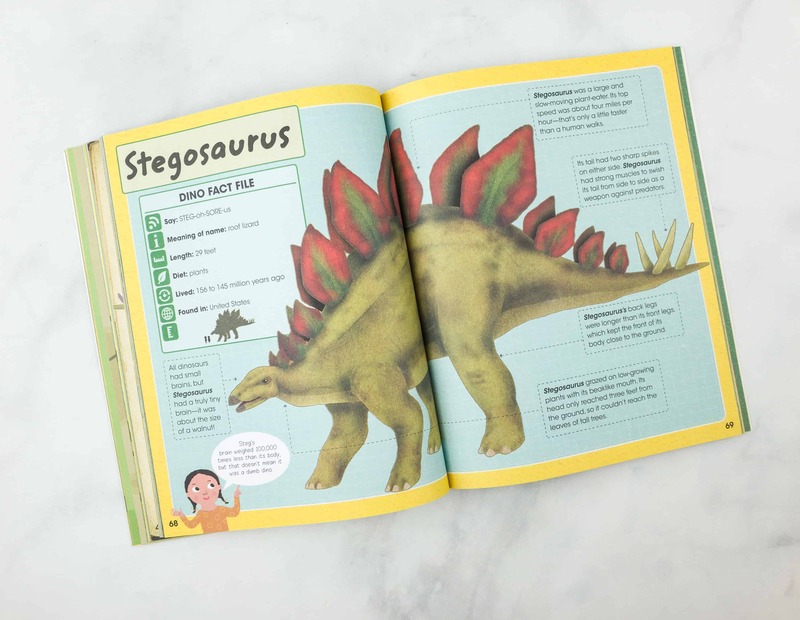 The book also contains facts and activities relating to dinosaurs and the pre-historic times. 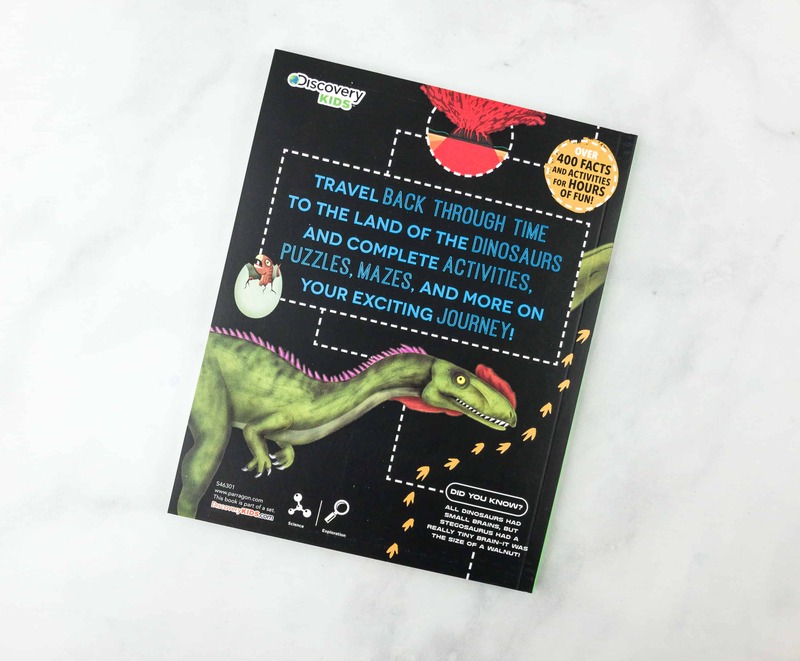 Travel back through time to the land of dinosaurs and complete activities, puzzles, mazes, and more on your exciting journey. Here’s a list of all the book’s contents. 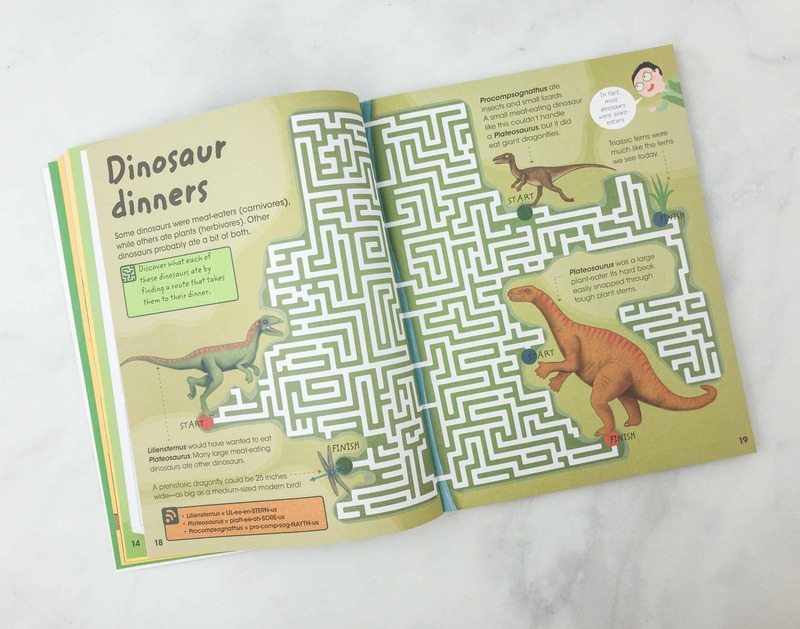 This page features a maze, where you need to help a dinosaur find their dinner. 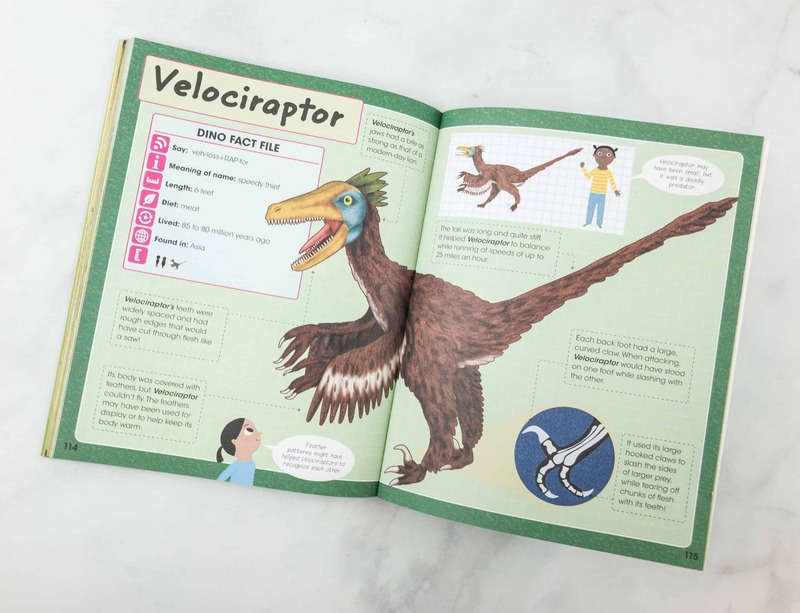 It also teaches the kids about dinosaurs which are herbivores and dinosaurs which are carnivores. 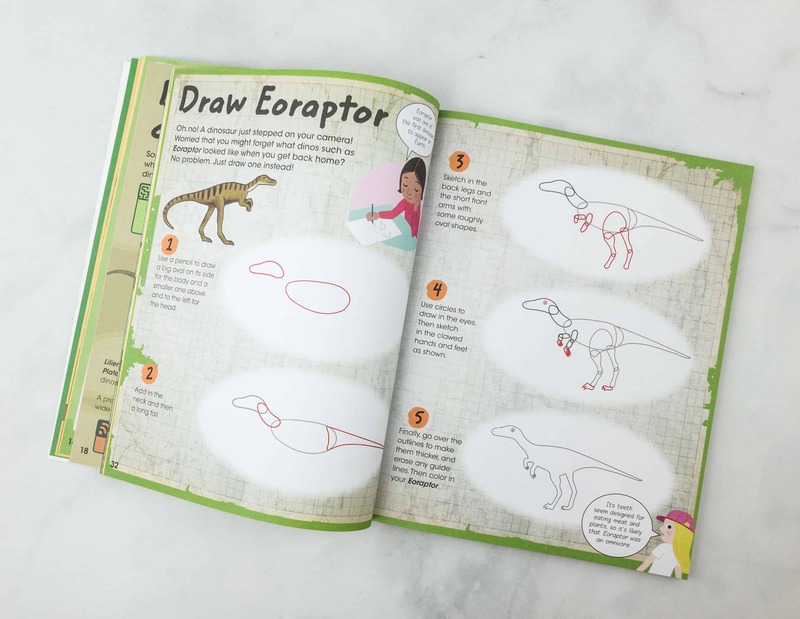 There’s also a drawing activity, complete with an easy-to-follow guide of drawing an Eoraptor. 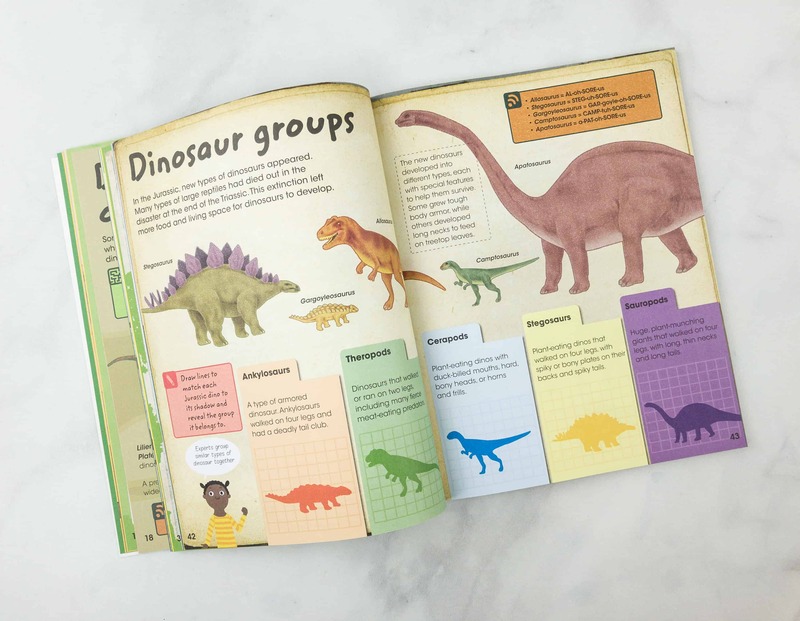 Did you know that dinosaurs have their own groupings too? 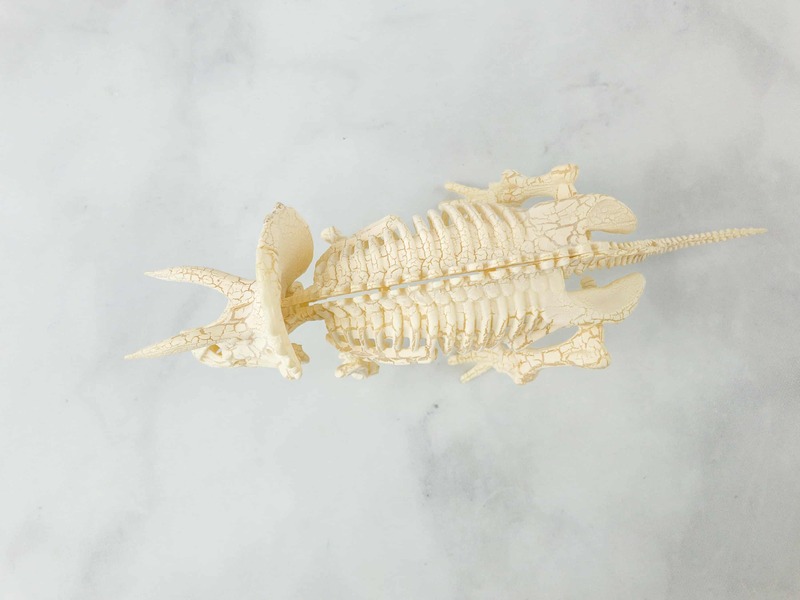 Another feature will teach the kids all about Ankylosaurus, Theropods, Cerapods, Stegosaurus, and Sauropods. 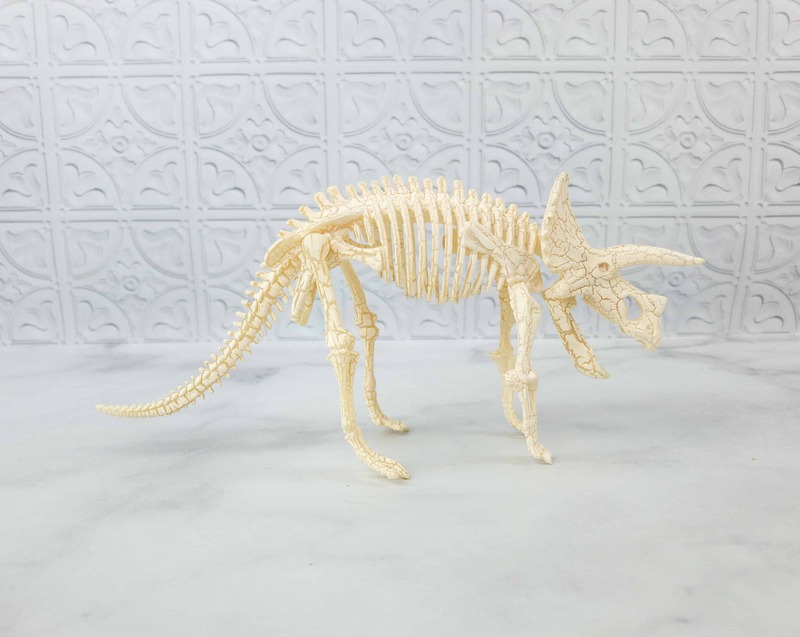 …and a Velociraptor! 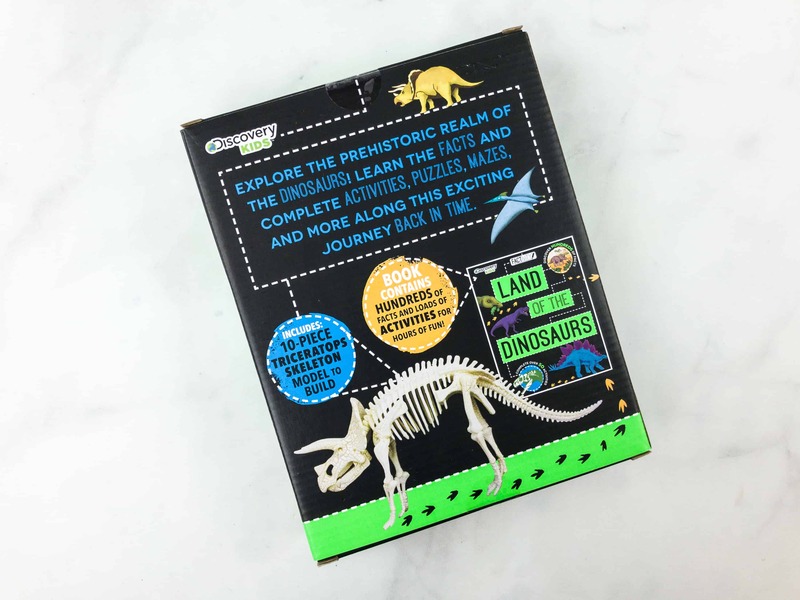 I love how they explained the parts of each dinosaur that make them unique. 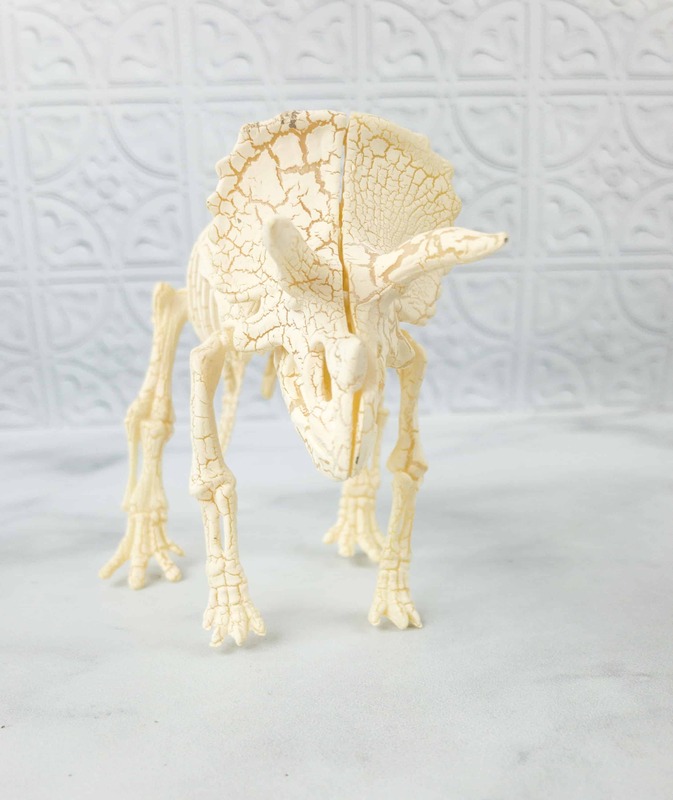 Here’s the Triceratops bone set included in the kit. We’re ready to play archaeologists! It’s quite easy to assemble. 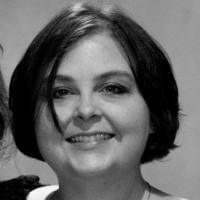 Here’s what it looks like when the set-up is finished. 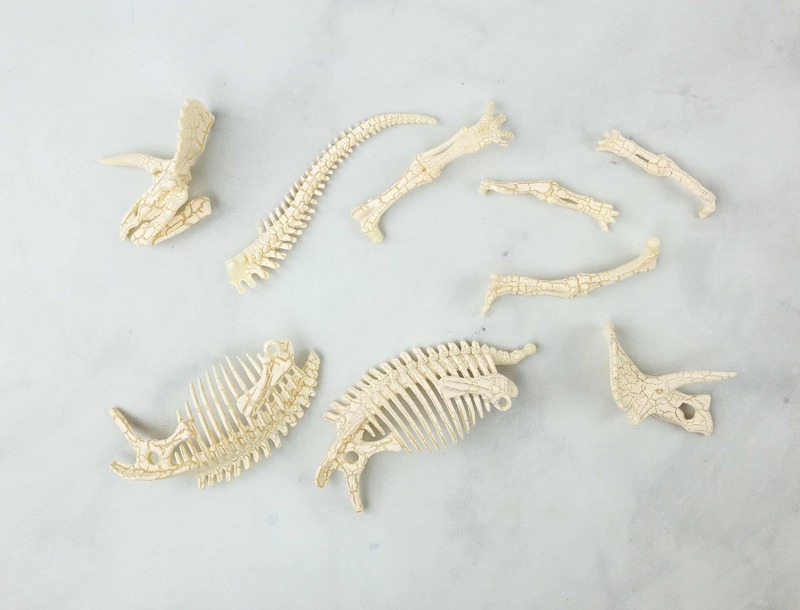 The bones are so detailed! 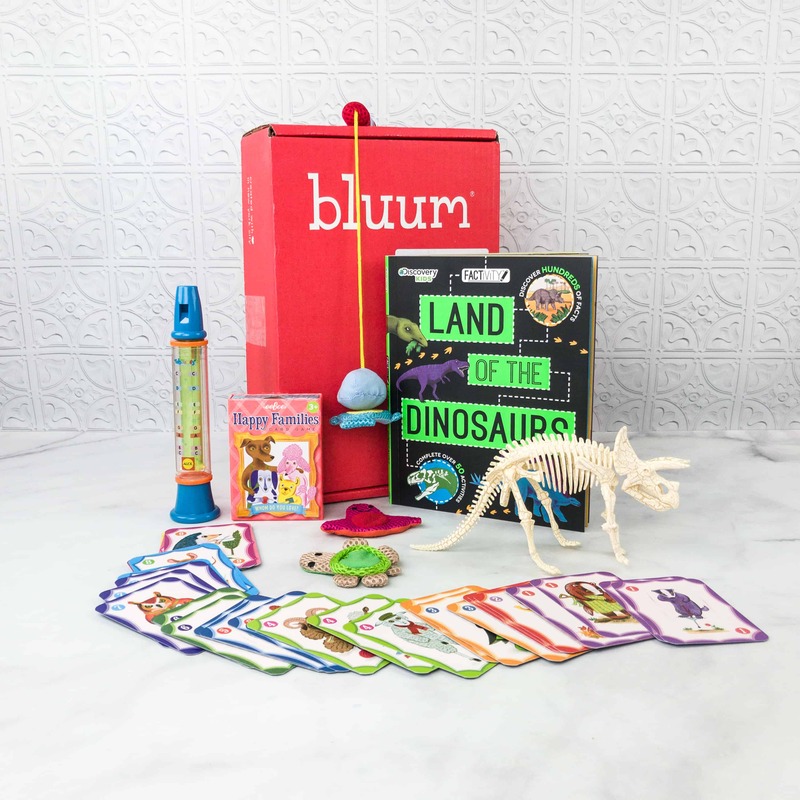 From bath time to reading time, this month’s box provided us a bunch of toys and activities that make a great bonding experience for the whole family. 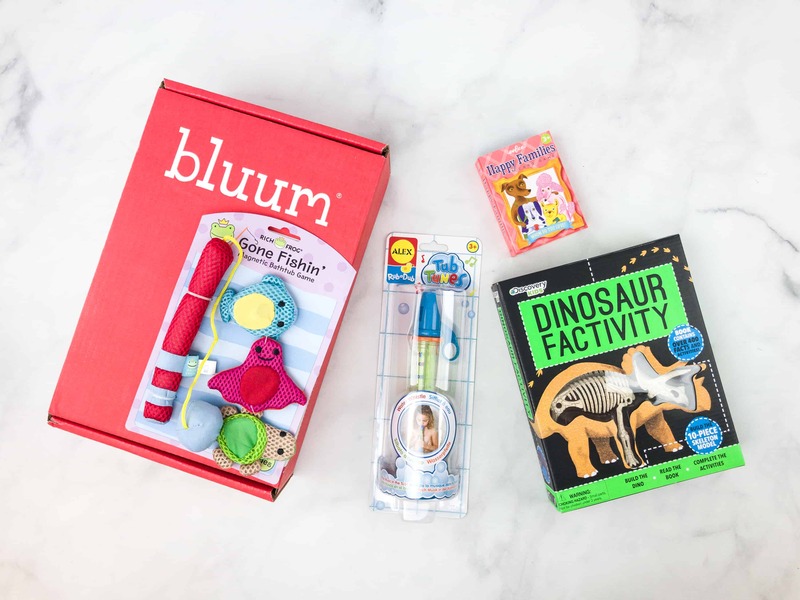 Also, the items are ideal for children ages 0-5, and that’s really awesome because you’re sure to receive only age-appropriate toys and books! Bluum also has a nice box preview feature that allows you to swap out the theme or skip the month, which is super useful!